A GAME OF TROLLS, #aGoT the MusicaLe, is the story of Heck, a troll whose indifference makes him the perfect keyboard warrior for Bimbam, the manager of a ‘call center’ that runs an online pro-martial law campaign. His lack of attachment to any belief can be used to make him unleash callous words to anyone who comments against the martial law days. Ghosts of Martial law victims haunt him from the internet cloud, where they fear being erased as people slowly forget their stories. The encounters forced him to reflect on his own beliefs and his relationship with his mother, a former Martial Law activist. Written by Liza Magtoto and directed by Maribel Legarda (the same writer-director tandem that produced the megahit Rak of Aegis), the key messages of the musical are best illustrated with these hashtags: #NeverForget, #NeverAgain and #BayanMunaBagoSarili. PETA hopes that this play will be a call to action – to make our young people look beyond the memes and the online propaganda that had become so accessible because of social media, to encourage them to do their own research, to think critically and to act with responsibility. Today, it is staged not simply as an effort to revive fading memories of traumatic events that took place over 30 to 40 years ago. As contemporary events show, the fight for freedom and democracy – against the forces of dictatorship and darkness – still rages in our country. Thus, it is more important now to never forget the painful lessons of the martial law and never again allow strongman rule to be set up in the Philippines. Through the theater, we want to reach the youth of today so they will learn to treasure their freedom, which was fought with blood and tears by their elders. A GAME OF TROLLS, #aGoT the MusicaLe will have a run on October 13-14, 20-21, 2018 at the PETA Theater Center. 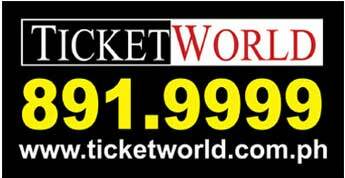 For show buying and bulk tickets, contact PETA at 725-6244, 0917-5031006.